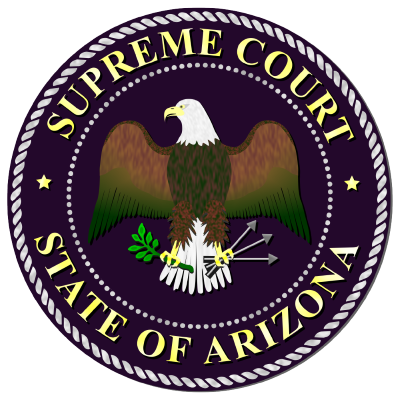 This Guide can help you become better acquainted with Arizona’s judicial system. It describes how the courts are organized, the special functions of the courts and how court cases are processed in our legal system. Here you will also learn about the roles of the people who work for the courts, how judges are selected, and how we evaluate court employees and individual courts to make sure they are working properly. As you explore the following sections on the left menu, you will discover the essential role the state’s courts play. Whether you participate personally in the activities of Arizona’s courts, or if you simply hear and read about them in the news, this publication will help you recognize how the Arizona judicial system continues to deliver justice fairly and equitably to all. NOTE: This guide does not address federal and tribal courts that are not part of the state court system. This guide is helpful in preparing students for a civics or government class, or for a visit to court. A glossary at the back defines courtroom and legal terms used in the text. This guide is not intended to offer legal advice or assistance; laws and procedures can change unexpectedly. Check with a local court for current, specific information about resolving a legal problem. This publication can be provided in an alternative format, or other assistance may be provided upon request by an individual with a disability under the provisions of The Americans with Disabilities Act.